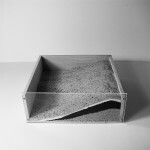 StrATA explores the connection between the urban surface and the active forces confronting human habitation. 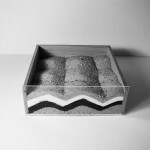 Designed materials both above and below the surface will remain long after our species is gone, thus future infrastructures must address conditions dramatically altered by new predicaments of speed, scale, flow and density. 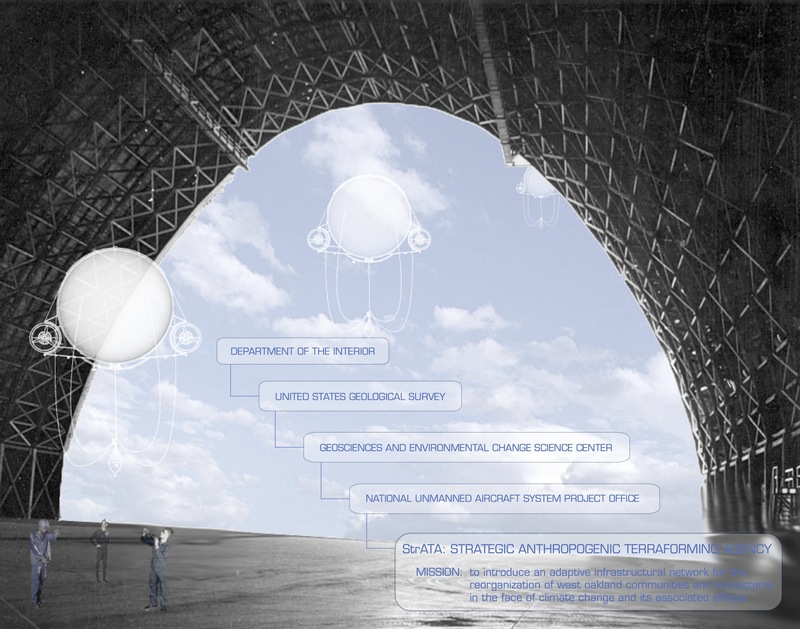 The integration of an infrastructure that is adaptive on both temporal and spatial scales to changing climatic conditions will prepare the current geologic layer in its transition beyond the Anthropocene and consequent ecosystems. 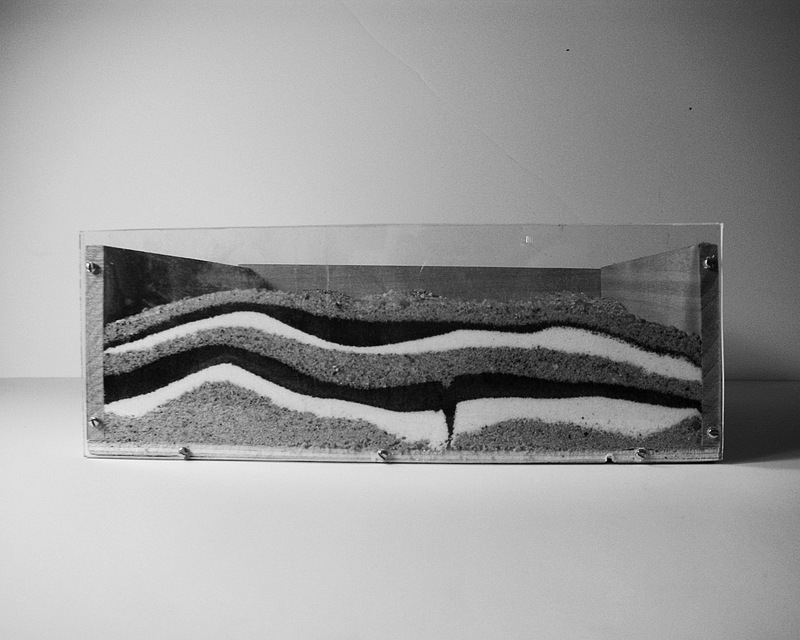 As a forward-thinking infrastructure, StrATA serves as a driver of ecological and geological manipulation. 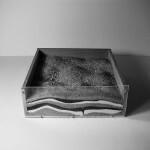 The deposition of surface material mediates urban human interests by addressing the contemporary challenge of air pollution mitigation as well as the long-term threat of rising sea levels. Remote environmental sensing and large-scale climate models calibrate site deposition to build a feedback loop of sensing, reacting, and adaptation toward both human and ecological performance. Constant adaptation drives StrATA toward an ecological permanence in the landscape by reorganizing and terraforming West Oakland as geologic forces shape an uncertain future. As the largest estuary on the west coast of the United States, the San Francisco Bay is an important source of ecosystem services for both the immediate location as well as the entire state at large. The Sacramento-San Joaquin Delta drains into the northern edge of San Francisco Bay, providing tidal marsh, biological diversity and habitat as well as a critical source of water for agriculture and urban water supply throughout California. The San Francisco Bay Area is also home to a total population of more than seven million people, one of the largest urban areas on the west coast and fifth most populous metropolitan area in the United States. The metropolitan areas encircling the Bay sit among a wide variety of topographical features, from coastal mountains to smaller bays to inland valleys. The range of geography creates a variety of microclimates in the region, promoting one of the most biologically diverse areas in the world, while also existing close and within large-scale urban development. Upon its incorporation 1854, the City of Oakland grew along with its status as a major rail terminal for both the Transcontinental Railroad and local commuter trains. 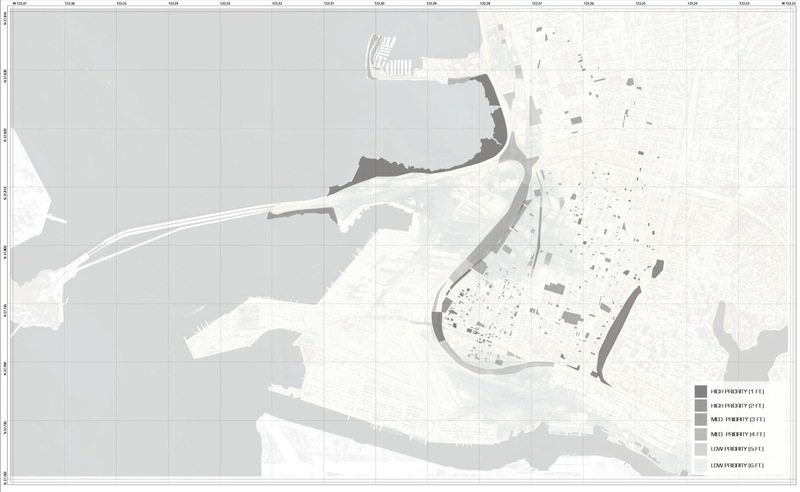 The rise of Oakland as an industrial hub led to the need for construction of a seaport and subsequent transformation of the natural estuary ecosystem. Dredging a viable deep water-shipping channel created the first major port on the Pacific coast of the United States, and provided the fill material on which the footprint of the city expanded into the Bay. The construction of land into the Bay for human use resulted in the total deconstruction of the natural estuary and associated ecosystems. The operations of StrATA work to address issues occurring at two differing, yet associated time scales. Air pollution operates on a daily cycle in conjunction with wind and traffic patterns. The issue of sea level rise is best conceptualized on the longer-term century time scale. Today the Port of Oakland is the fifth-busiest container port in the United States, its location providing the incorporation of intermodal facilities to include shipping, railway, and the interstate highway system in the distribution of goods. Ten-thousand trucks per day travel through the Port of Oakland, directly contributing to diesel particulate emissions per square mile in West Oakland that are ninety-times the level of California. Oakland is home to 400,000 people, with much of the West Oakland residential neighborhood situated between several interstate highways and at high risk for diesel particulate emissions. As a consequence of increased concentrations of greenhouse gases in the atmosphere, coastal areas across the globe will suffer the effects of sea level rise from the potential widespread melting of polar regions and subsequent thermal expansion of the oceans, leaving the most populous regions of California at risk. 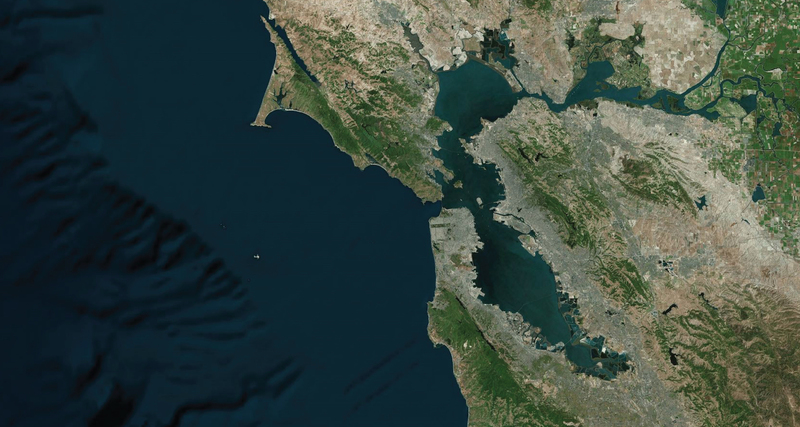 The increasing threat of sea level rise multiplies the potential impacts and vulnerabilities to climate change with respect to both the natural components and urban development in the San Francisco Bay region. Even moderate sea level rise will have a significant impact given the gentle topographic gradients extending from the Bay to highly urban landscapes and sensitive habitats of tidal wetlands. 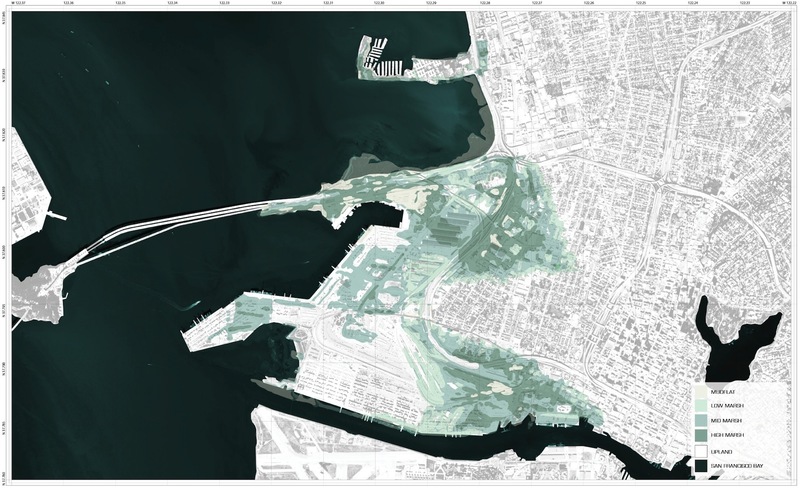 Impacts of sea level rise in West Oakland include coastal erosion and loss of marsh estuary, risk of contaminated groundwater, flooding and storm surges and consequent property damage. Local large infrastructure, including interstate highway systems, bridges, railways, high-tech campuses, international airports and shipping ports are particularly threatened. Reliance on structural shoreline protection will increase as sea levels encroach upon existing urban infrastructures. By mid-century, most structural shoreline will be overtopped in a 100-year storm event and by 2100, one-third will be overtopped at daily high tide. In terms of ecological change, infrastructure flooding and land use modification, the San Francisco Bay region faces the greatest impacts from climate change along the western seaboard of the United States. 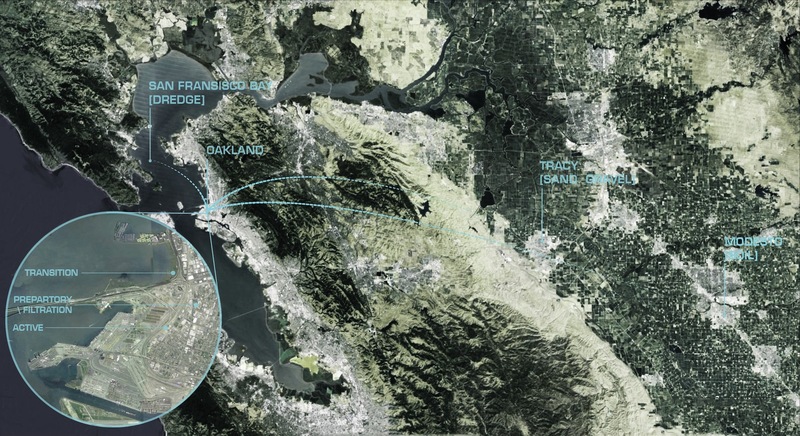 Future habitat projections reflect expected conditions of the San Francisco Bay area as a result of global climate change. Without intervention, mudflat, marsh, and upland habitats will migrate across the current shoreline, following a path mirroring sea level rise projections. 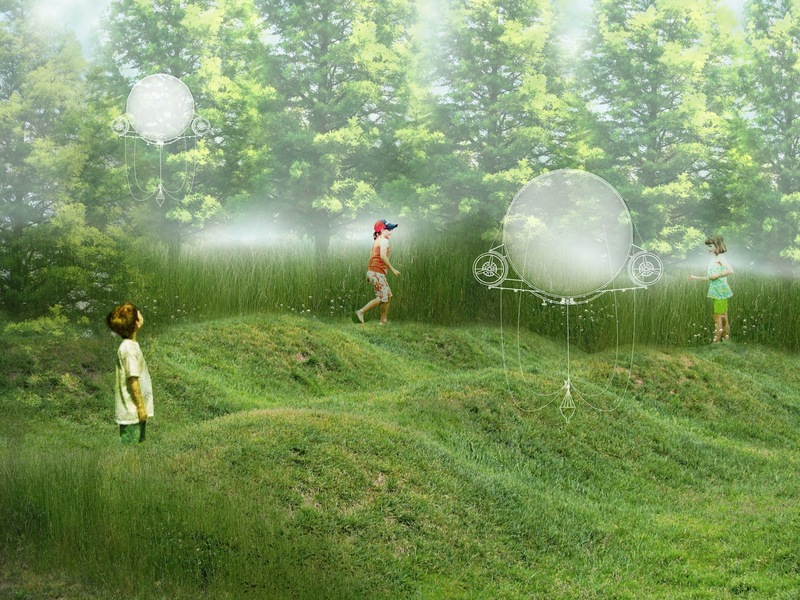 StrATA does not aim to replicate such conditions, but the projections inform the decision-making ability of the device to incorporate future ecological tendencies into an effective landscape operation. 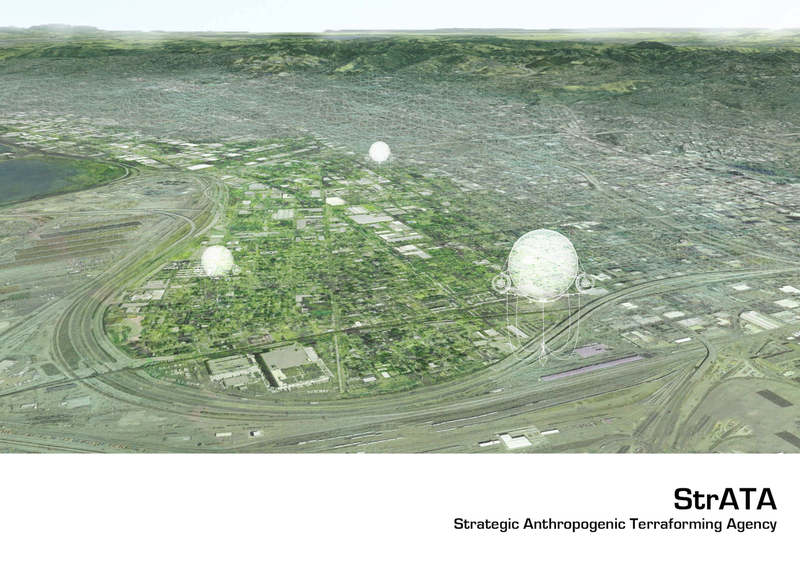 The Strategic Anthropomorphic Terraforming Agency, or StrATA, is comprised of USGS scientists charged with introducing an adaptive infrastructural network for the reorganization of the West Oakland community and ecosystem in the face of risks associated with climate change. StrATA combines efforts with the fleet of devices in exchanging information compiled both in the field and through laboratory testing in order to increase efficiency and effectiveness of the implementation strategy. Additional roles of the agency include developing and testing of climate and pollution models, plant material testing, seed bank maintenance, device servicing, environmental data maintenance, site maintenance and large planting operations, and operation of the museum as its public interface. Material payload carried by the device will not exceed forty pounds, and the necessary equipment for construction, navigation, and sensing at an additional thirty pounds must be calculated into the total payload. 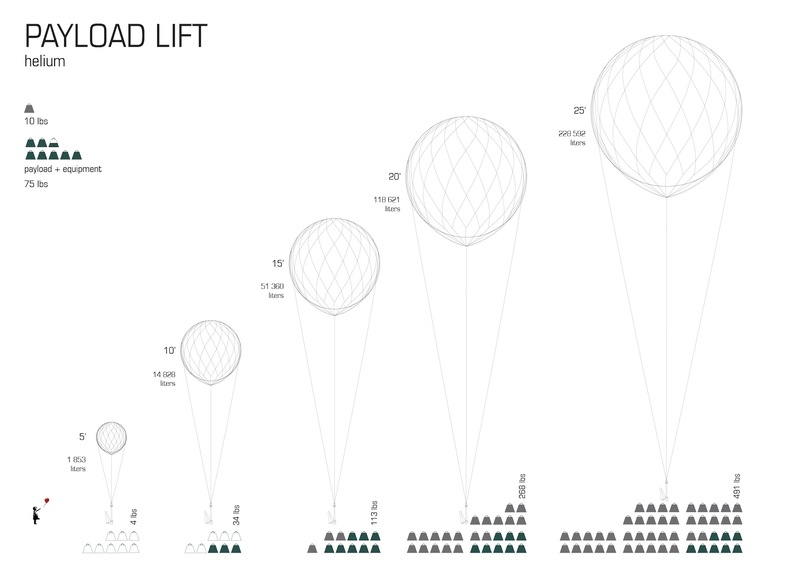 Various diameter-sized inflatables have a payload lift ability correlated to pressurized liters of helium, an increasing ratio as diameter expands. In order to provide sufficient lift for operations, payload lift must be calculated at one-and-a-half times the weight of the payload. In the case of StrATA, the 75-pounds of payload is translated into 122½-pounds for lift, leading to the selection of the 15-foot diameter model. 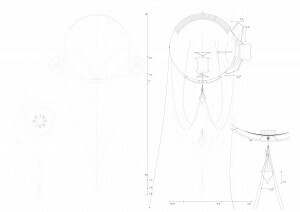 The device is outfitted with instruments necessary for its navigation and transport through the environment as well as instruments to sense and record environmental data. 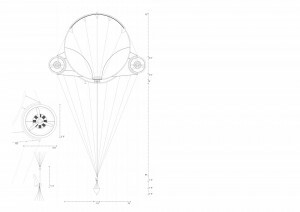 The hybrid device combines the gradual movement through the air of a blimp with the sensing and processing capabilities of a drone. 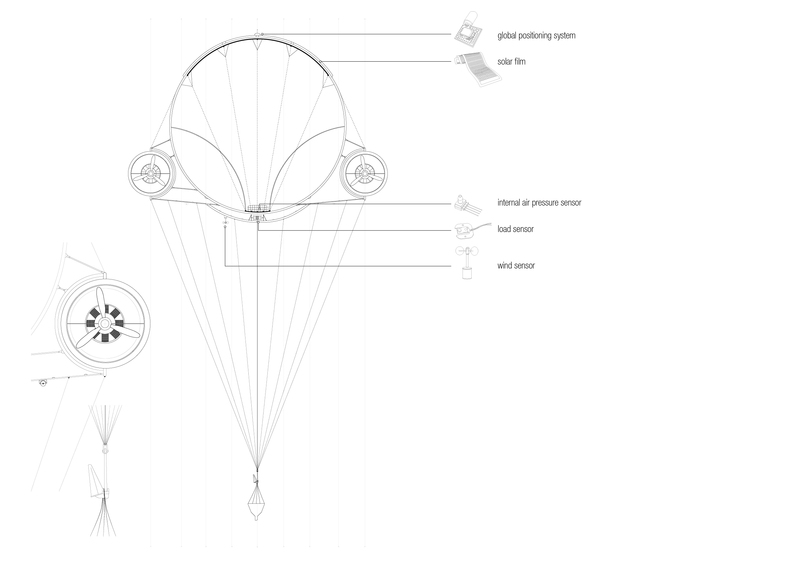 In order to provide the lift required and the ability to move precisely among the environment, functional instruments include a global positioning system and wind sensor for navigation, solar film provides power, an internal air pressure sensor helps to maintain lift pressure, and payload weight is calibrated through a load sensor. 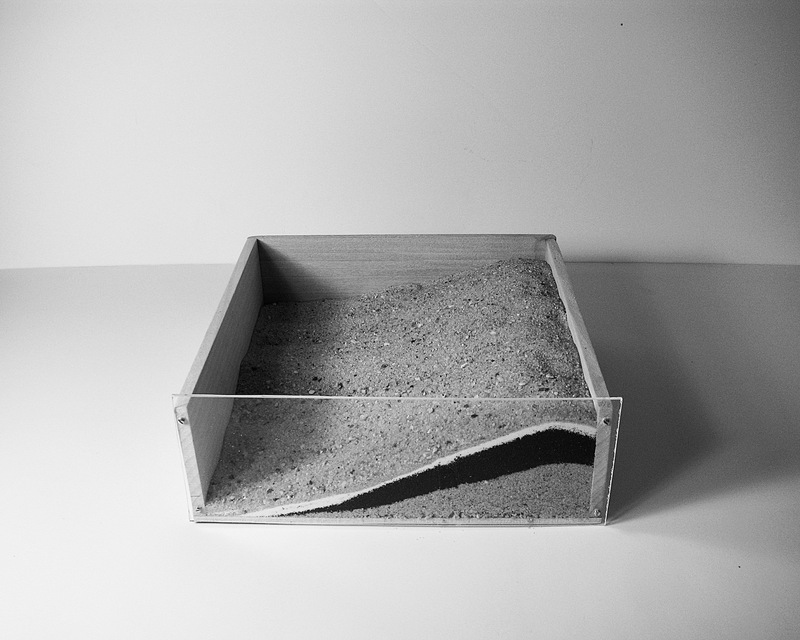 Sensing capabilities drive the actions of the device in its decision-making and subsequent deposition of material in the landscape. An air quality sensor provides current data on sites most affected by particulate matter in the atmosphere by industrial and traffic volume nearby. An infrared camera captures images for analyzing heat and moisture content throughout the urban environment for initial deposition decision-making. The hyperspectral camera has the ability to provide higher fidelity information for decision-making, recording images at a higher spectral range than the human eye to analyze material compositions both on and below the surface. A camera module and LED system are used as means of connection between the device and the urban environment it serves. 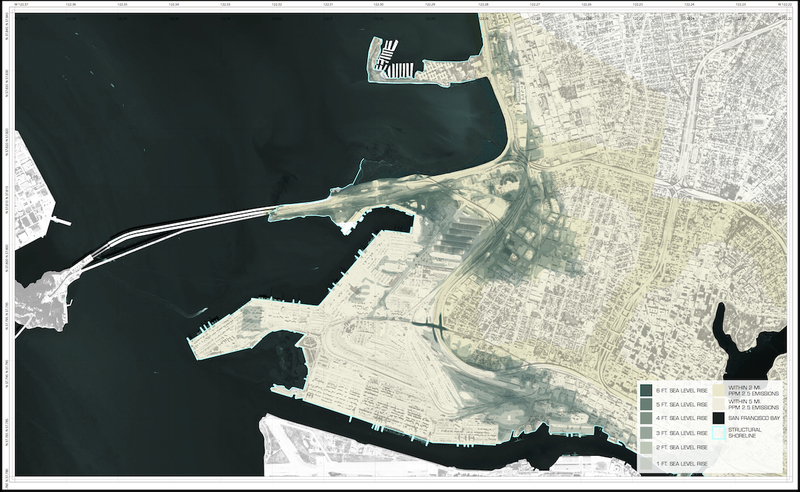 The camera module records progress of deposition and long-term strategy, allowing pubic access to the images as an alternative view to the neighborhood of West Oakland. 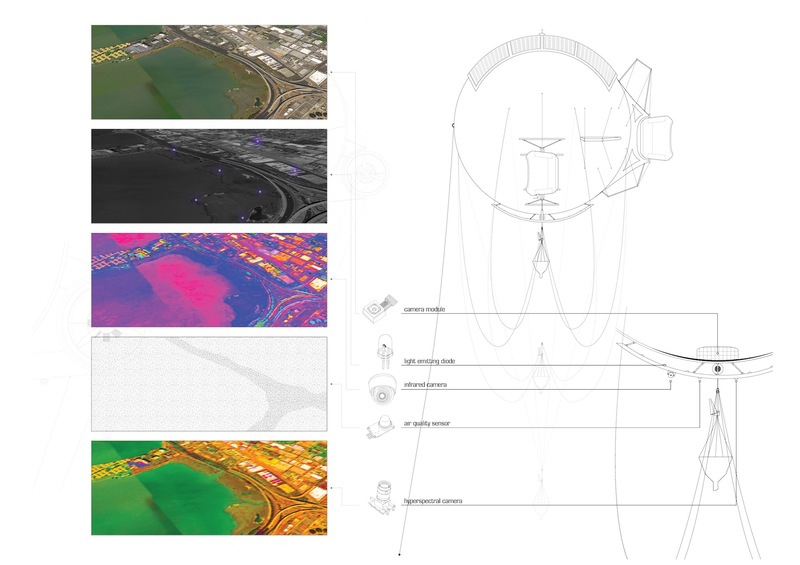 The lighting scheme adds an additional layer to the movement of the device through the landscape, providing a visualization of subtle changes to annual tidal flow related to sea level rise, as well as communication and interaction among devices. The lighting scheme operates in response to real-time data and long-term projections in the average season cycle of mean sea level rise. 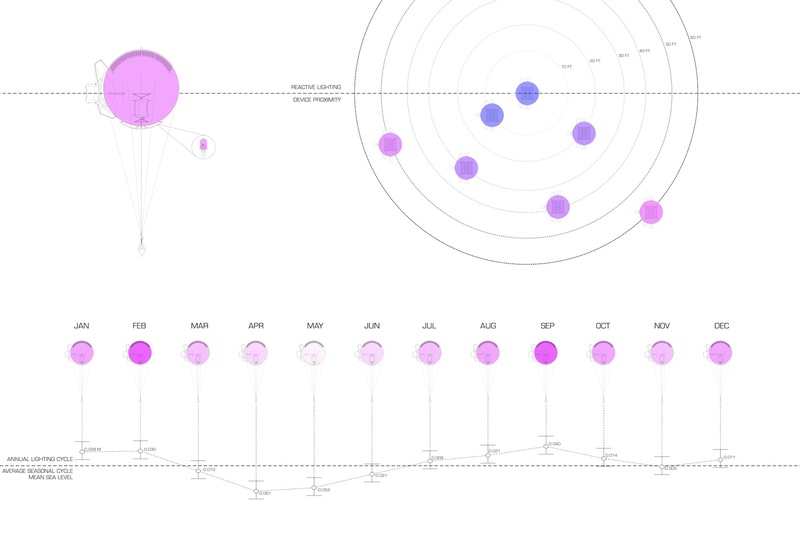 A fading of white to pink lighting throughout the year is correlated with tidal fluctuations in mean sea level. Proximity between devices prompts an instant reaction in the form of a blue light. 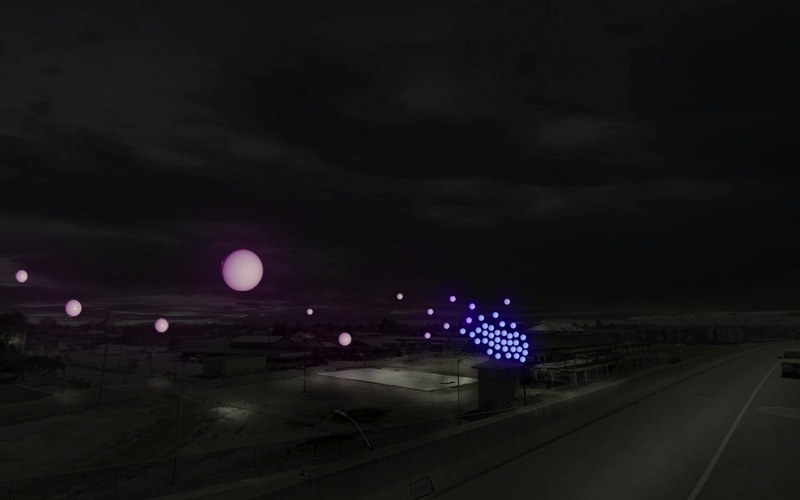 Each lighting scheme provides the community with a visualization of device activity within West Oakland and the conditions to which it is responding. 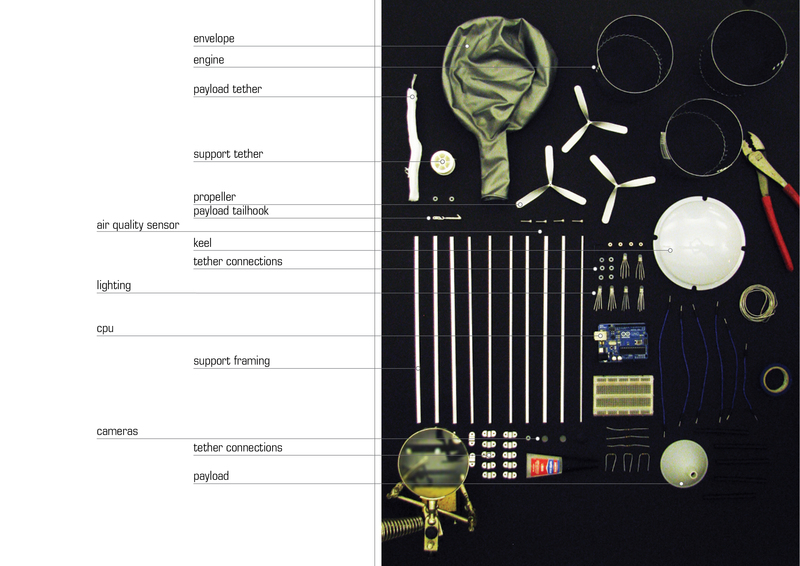 MODEL Visualizing the device in the form of a representational model represents the functional and sensing instrumentation of the device. 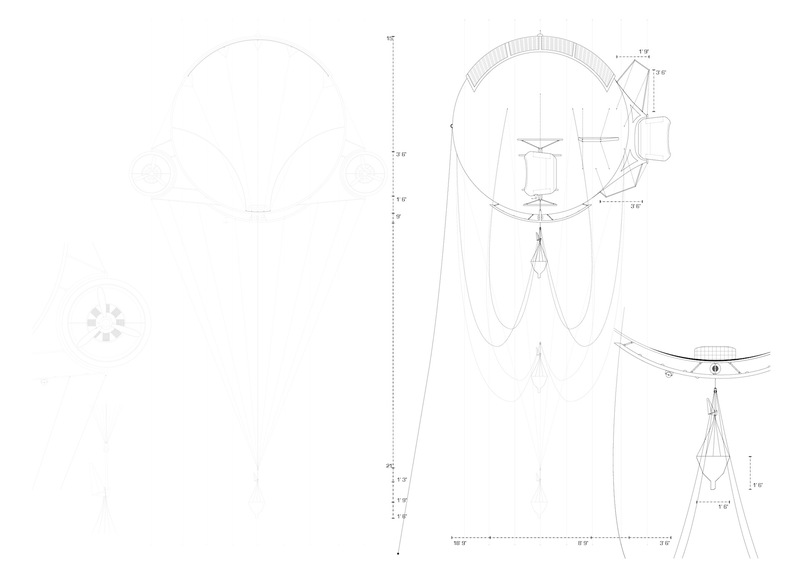 The model also provides the visualization of the device at 1/8-scale and a view of the transforming lighting scheme enacted through environmental sensing. 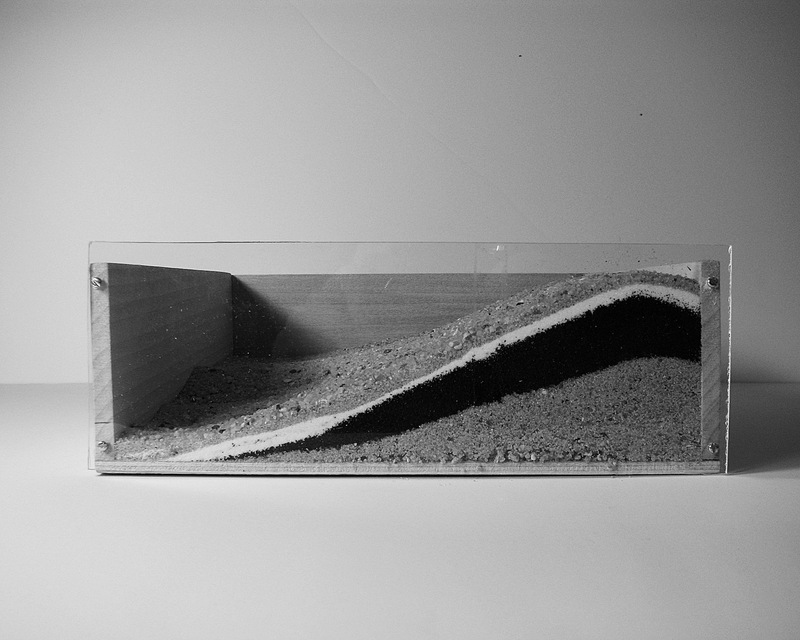 Deposition tests were conducted to understand the properties and behavior of materials to be prescribed in landscape operations – sand, soil, and gravel. 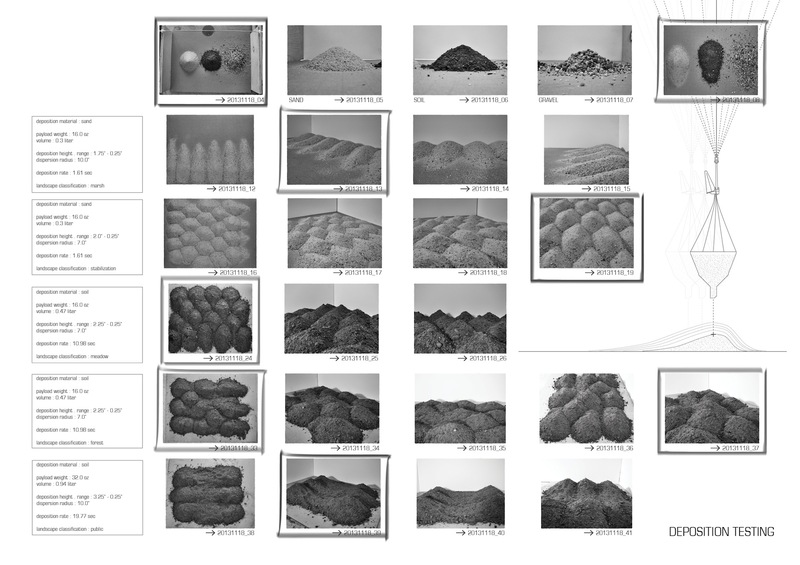 Weight and volume of each material is calculated according to the forty-pound payload limit, with an understanding of deposition rate and estimated surface coverage and depth of a single payload volume. As tests developed, imprecise movement of the device through the air was simulated as it became unrealistic to assume a static deposition given the calculated time for each material payload release. 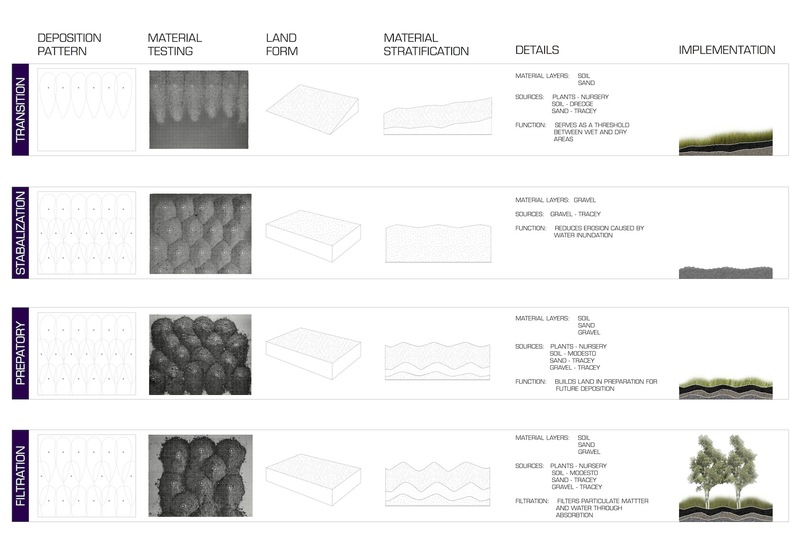 Various combinations a single deposition pattern were studied among materials, allowing for the creation of unique deposition operations and a categorizing of patterns to drive landscape operations. 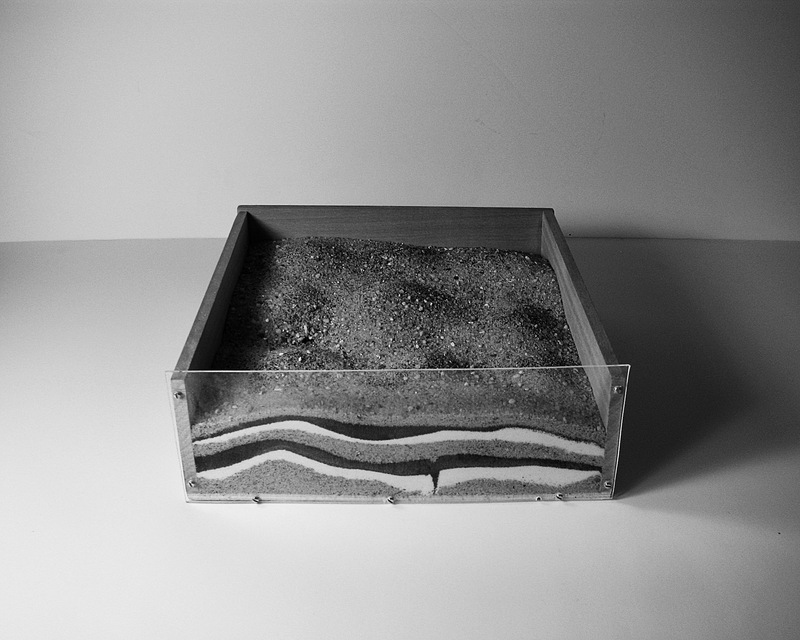 Materials used to implement appropriate landscape operations include sand, gravel, soil, and dredge material. The materials are supplied from existing sources of construction materials – Tracy provides sand and gravel, Modesto supplies soil, and dredge material is collected from ongoing operations in San Francisco Bay. 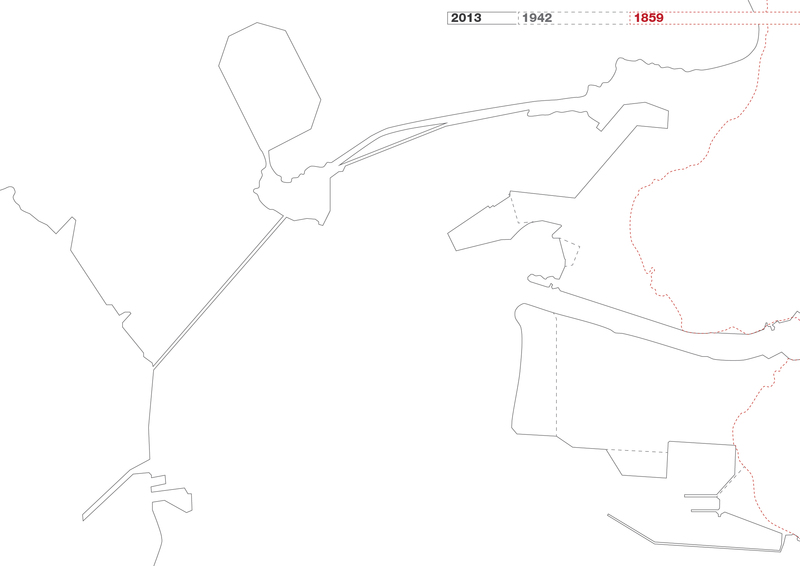 Environmental sensing records an inventory of available sites throughout West Oakland, constantly updated and categorized according to an operational imperative with respect to air pollution concentrations and projected inundation levels. 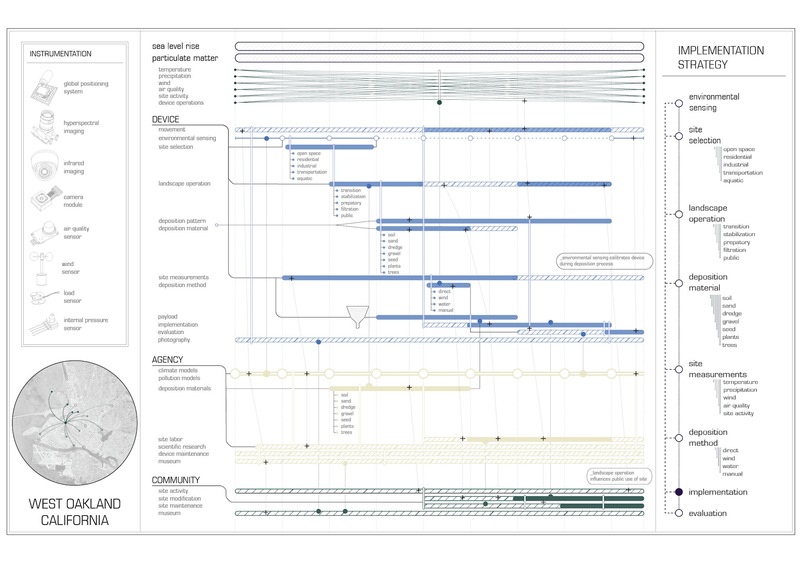 The processing system mediates between current conditions and long-term climate projections through its ability to adapt an implementation strategy from its comprehensive collection and prioritization of environmental data. Sites selected for implementation may be continually revisited as environmental conditions and priorities evolve over time. 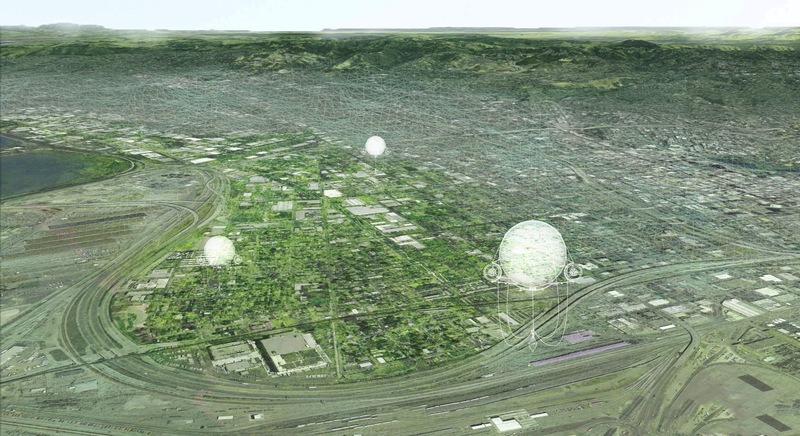 Landscape operations within West Oakland are implemented based on mediation between projective climate models and current site conditions including air quality, site activity, and material coverage. 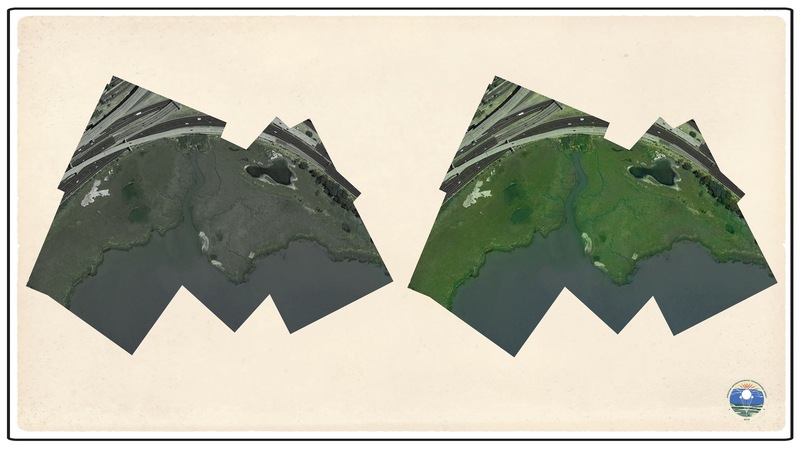 Deposition patterns create varying topographies to help foster ecologies that adapt to achieve an effective response to the dual threats of current air pollution and long-term sea level rise. 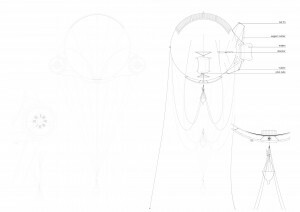 Deposition of material in the landscape occurs as the device follows a trajectory towards a site, carrying a material payload and deposition instructions. 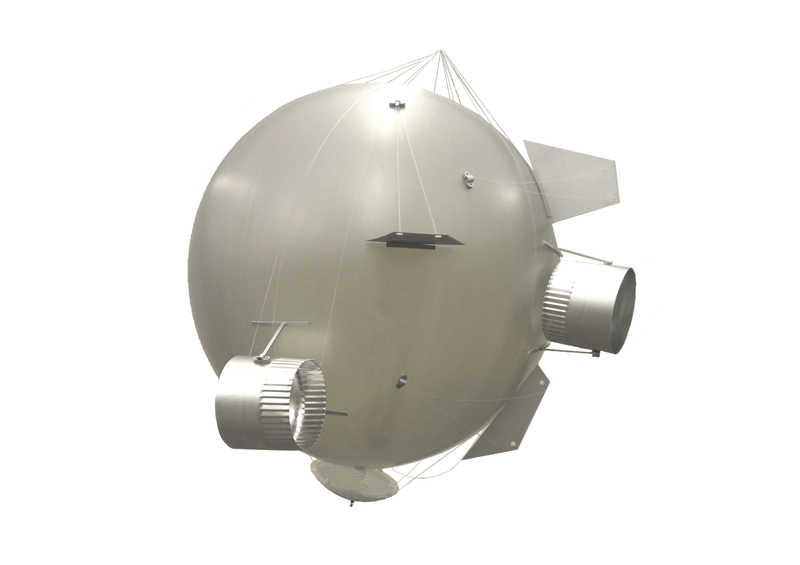 Along this vector, the payload is gradually extended as the device slows to three miles per hour in its approach, releasing the material at a height of five feet above the surface. 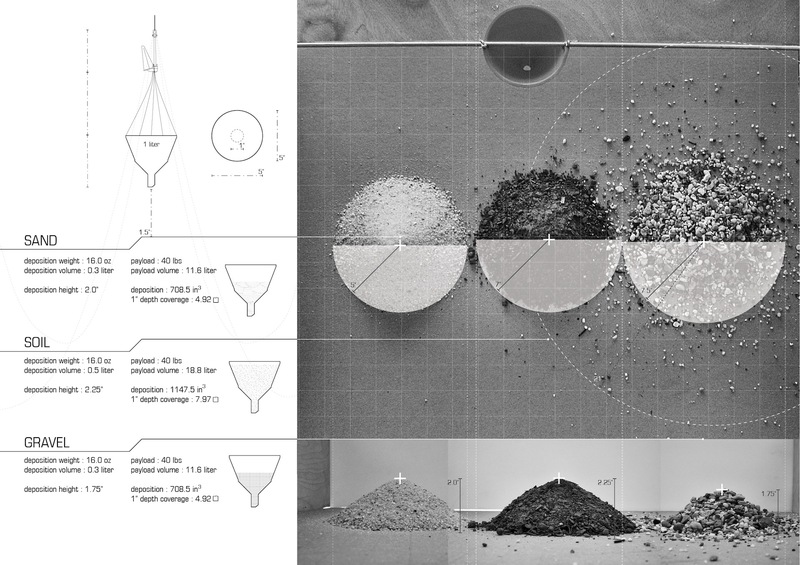 Material volume, deposition rate, and movement of the device, compounded over multiple deposition actions create a specific pattern and depth to achieve an effective landscape operation for the site. Long-term climate and pollution models, combined with real-time sensing instrumentation, drive the decision-making and action of the device. The sensing instrumentation provides a higher fidelity to the climate models as conditions change over time. 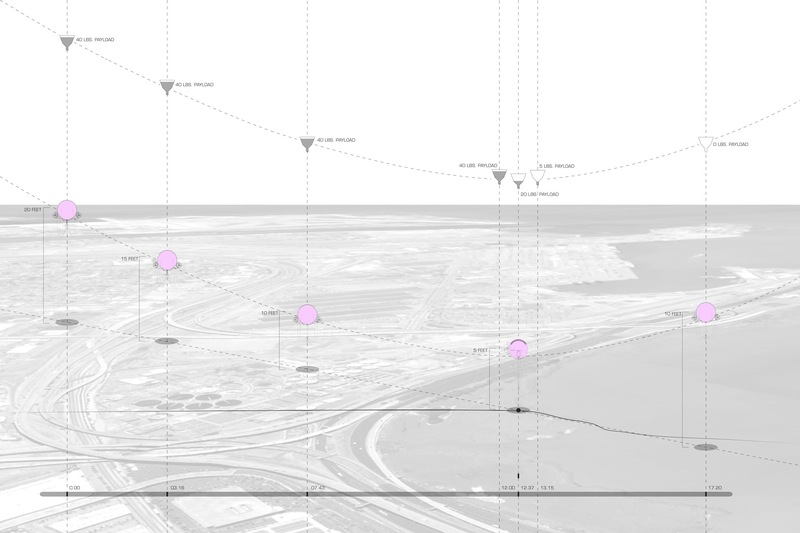 The device, agency, and community work in conjunction with direct and indirect connections as continued deposition shapes West Oakland. The most effective deposition strategy is processed with long-term projections and current environmental data, adapted to the actions of the community and abilities of the agency. 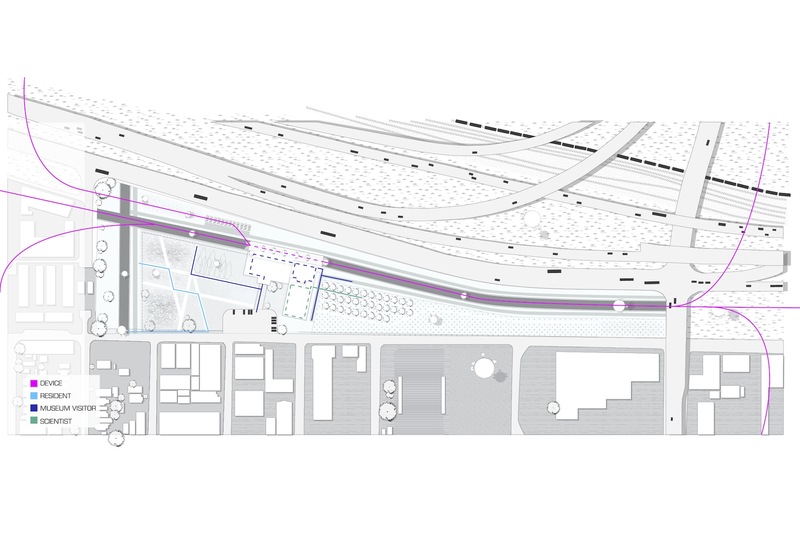 The procedure of decision-making correlates to environmental and urban conditions, creating a constant push and pull between the long-term transition of the landscape in response to climate change, while allowing for urban use and adaptation. 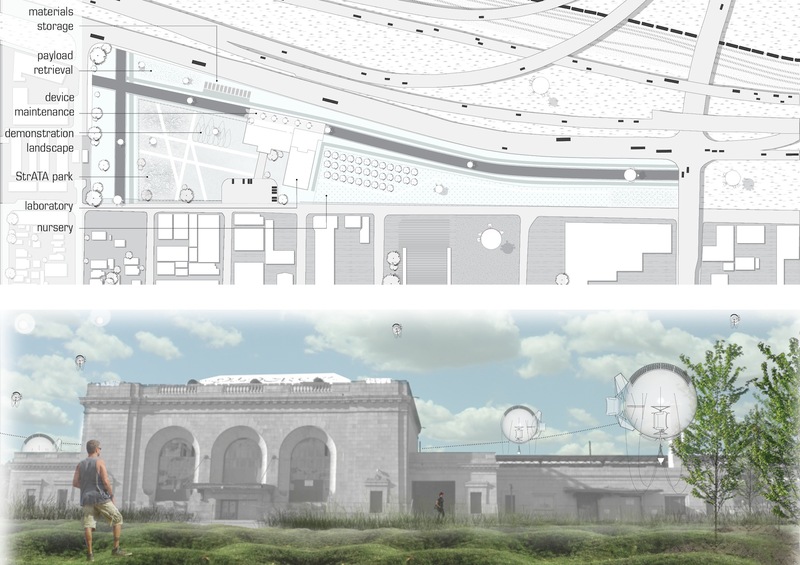 Modifications to the West Oakland neighborhood can be understood through the direct observation of device in the landscape as well as through educational visualizations at the Oakland Central Station operations center. A target area for implementation, the depleted tidal marsh only remains in the area of shoreline without structural protection. According to sea level rise projections, this is also the location where increasing sea and tidal levels will first encroach upon the West Oakland neighborhood. Processing of environmental data and long-term projections direct an operation toward a transition landscape between wet and dry surfaces. 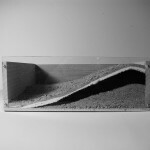 Deposition materials of dredge and sand create a sloping pattern, followed by planting by the agency in order to increase the effectiveness of the unprotected shoreline through a revitalized marsh landscape. Addressing areas within the city for a longer-term strategy is an important task for StrATA. Locations subject to rising sea levels in the future are valued as preparatory sites with an ongoing implementation strategy in order to be effective both presently and at a time when threatening conditions emerge, in this instance at five-feet of sea level rise. 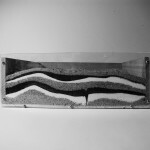 Deposition first raises the surface level and helps to adapt the ecology of the site to current and changing conditions. As on the ground conditions improve, a secondary operation returns to provide an effective filtration landscape operation of deposition material and tree plantings by the agency. Adapting sites through varying strategies maintains an effective response ahead of the risks associated with changing climate conditions. The refurbished Oakland Central Station acts as the operational center for device and agency operations. The location serves as the home of StrATA, housing the material and botanical research land and data analysis center. Materials and plant combinations are tested and grown in the laboratory nursery for future operations throughout West Oakland. Each device returns to the hangar for servicing and pickup of payload material for its directed landscape operation. The center also allows for an open interaction between device and agency with the West Oakland community it serves. Visualizations and observation of active operations help to educate visitors of the issues confronting the future of the neighborhood and the effective response of the agency and its fleet of devices. 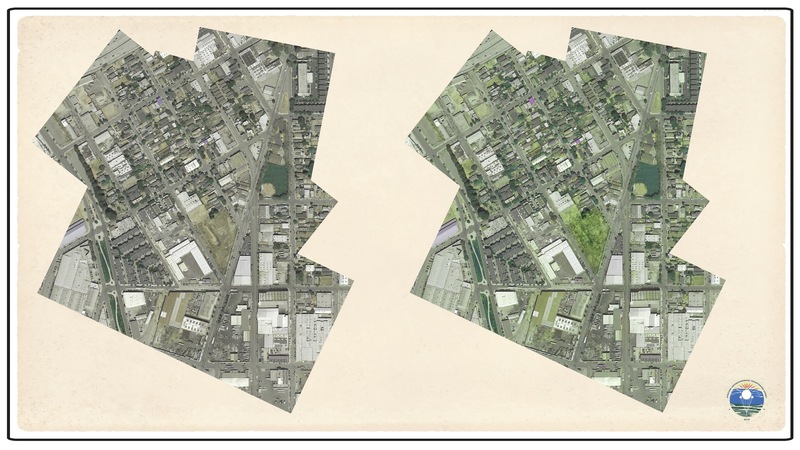 Visitors can understand the implementation strategy and success of device operations through ‘before-and-after’ aerial postcards of any desired location throughout West Oakland. 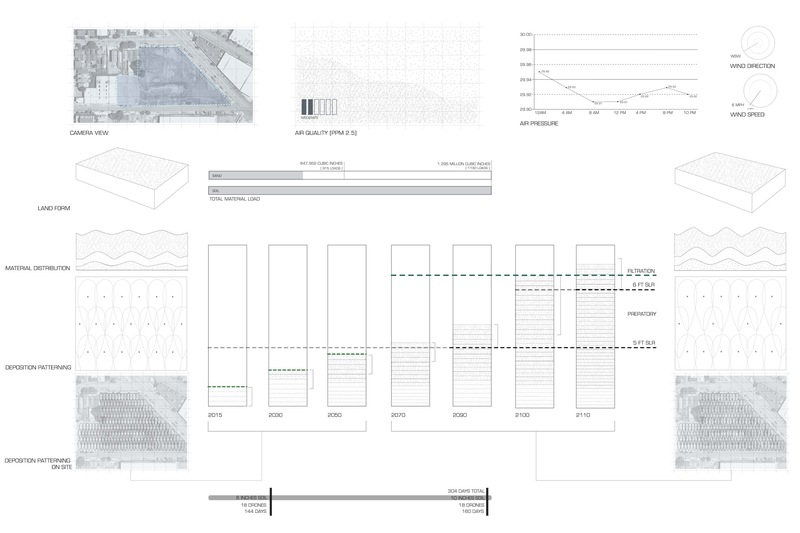 A community park as a demonstration landscape provides an understanding of the deposition capabilities of the device and a view into the future of a neighborhood adapted to mitigate risks associated with climate change. 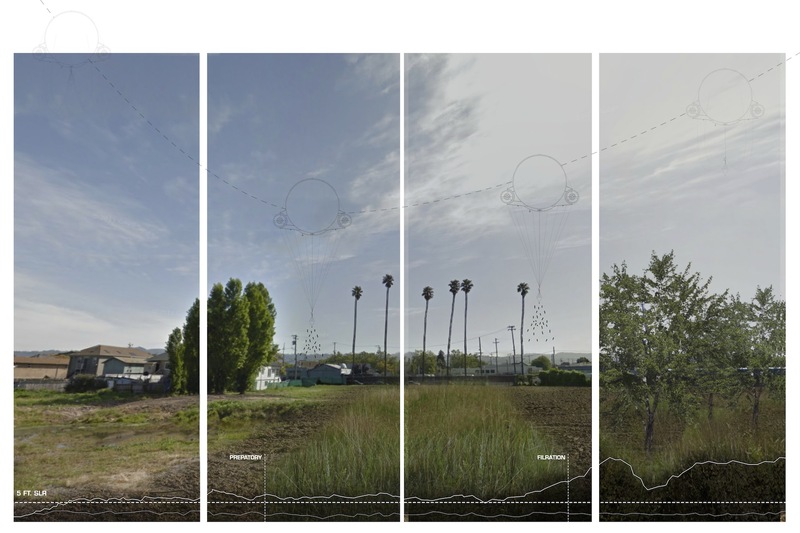 Mediation between long-term projective climate models and real-time site sensing produces a constant adaptation of landscape deposition operations and the ecology throughout West Oakland. 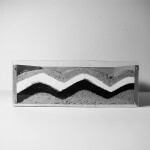 The array of available sites is constantly reevaluated to reorganize and terraform the landscape in response to uncertain futures shaped by forces both on a geologic and human scale. Bhatia, Neeraj. Coupling: Strategies for Infrastructural Opportunism. New York: Princeton Architectural, 2011. Print. Bhatia, Neeraj, and Lola Sheppard. Goes Soft: Bracket 2. Barcelona: Actar, 2012. Print. Ellsworth, Elizabeth Ann, and Jamie Kruse. 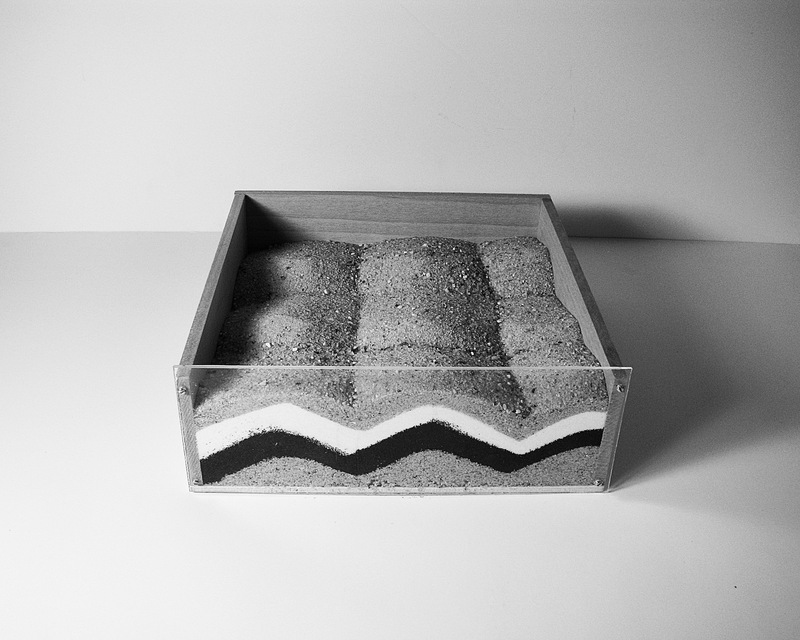 Making the Geologic Now: Responses to Material Conditions of Contemporary Life. Brooklyn, NY: Punctum, 2013. Print. 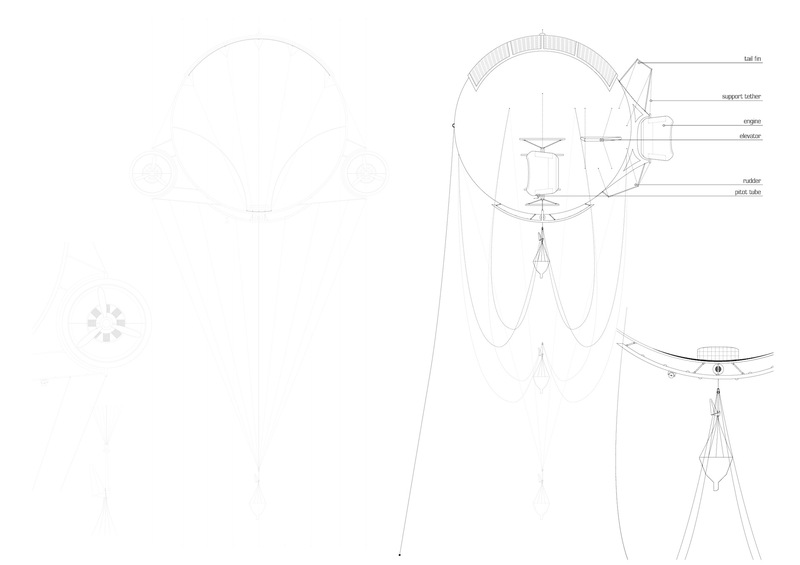 Hollinger, Geoffrey A., Zachary A. Pezzementi, Alexander D. Flurie, and Dr. Bruce A. Maxwell. 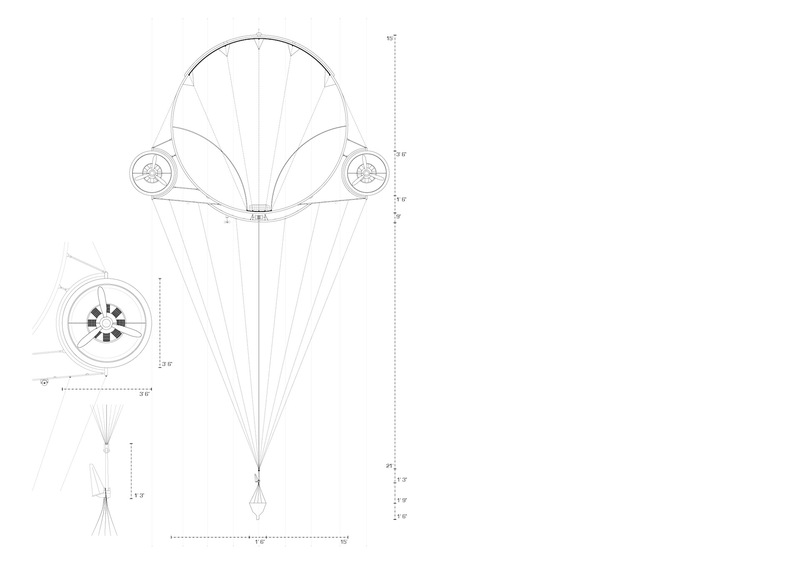 Design and Construction of an Indoor Robotic Blimp for Urban Search and Rescue Tasks. Swarthmore College, Department of Engineering, 2005. Manaugh, Geoff. 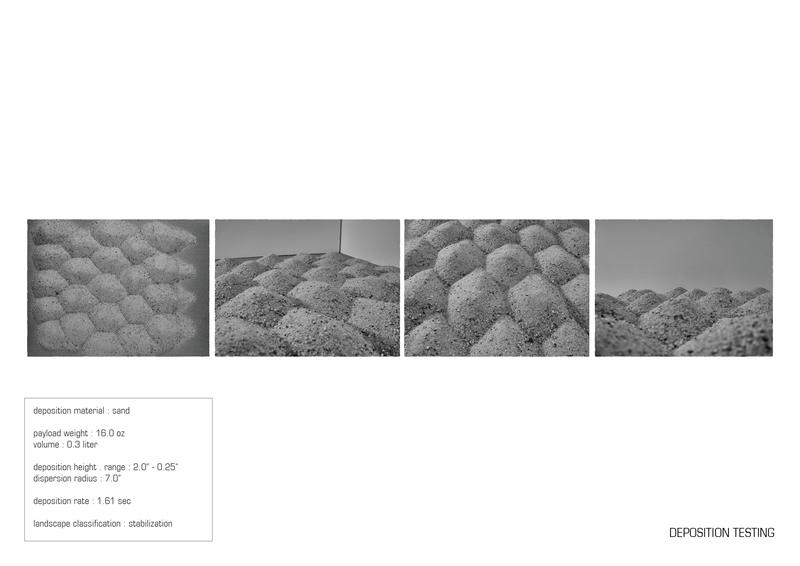 The BLDG BLOG Book. San Francisco: Chronicle, 2009. Print. Morton, Timothy. The Ecological Thought. Cambridge, MA: Harvard University Press, 2012. Print. “CASCaDE: Computational Assessments of Scenarios of Change for the Delta Ecosystem.” http://cascade.wr.usgs.gov. 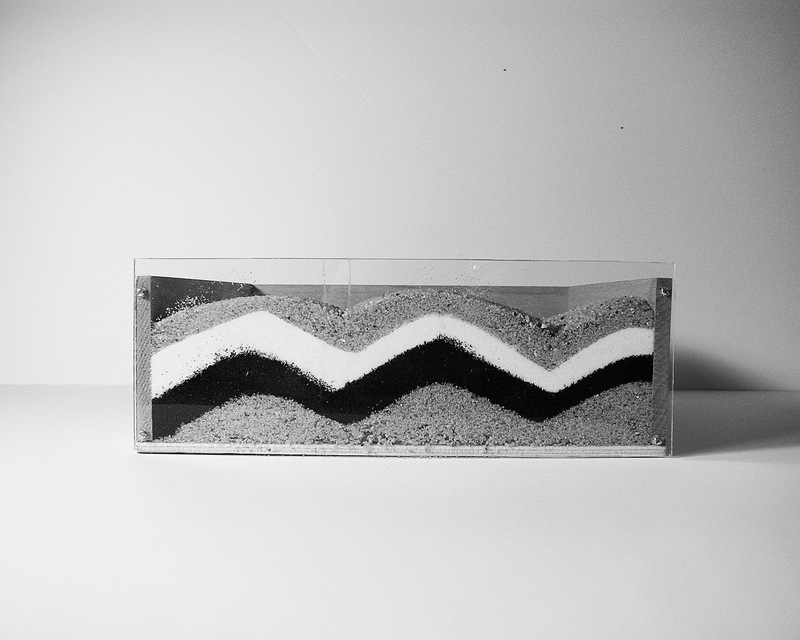 CASCaDE Project. United States Geological Survey, 14 December 2012, Web. “Maps of Predicted Climate Change Effects.” http://data.prbo.org/apps/ecn. Environmental Change Network Monitoring the Guide and Prioritize Conservation. California Landscape Conservation Cooperative, Web. 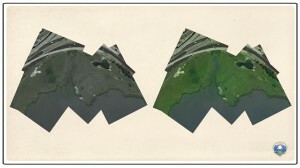 “NOAA CSC Sea Level Rise Inundation and the USACE National Levee Database.” http://www.arcgis.com/home/webmap/viewer.html. ArcGIS. NOAA Coastal Services Center, Web. 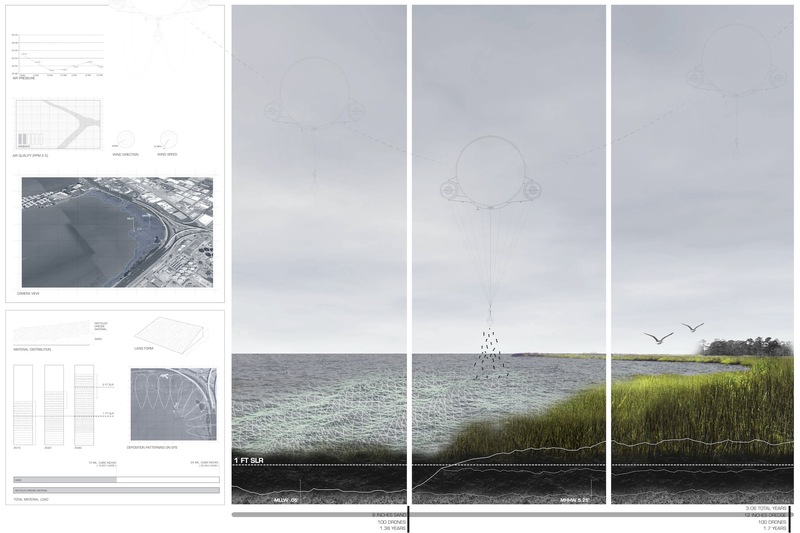 “Project Reports.” Adapting to Rising Tides. http://www.adaptingtorisingtides.org. San Francisco Bay Conservation & Development Commission, Web.